1280×800 NATIVE RESOLUTION: The RD-819 supports 1080p HD video and features projection ratios of 16:9 & 4:3. 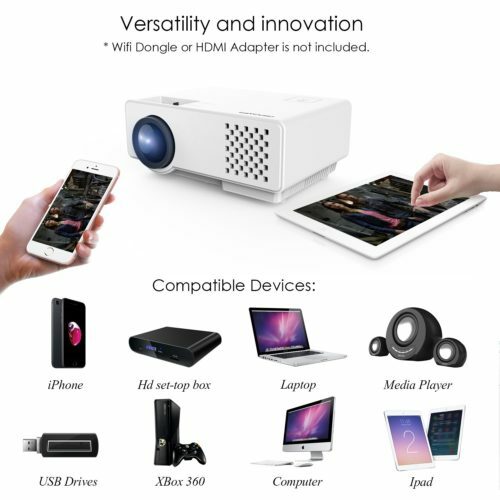 Contrast ratio is 1500:1 making for super-clear projection images. 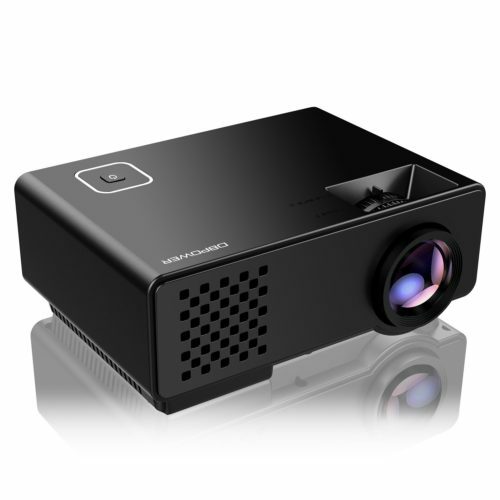 This projector has a lifespan of 50,000 hours meaning it could be used for up to 10 years. 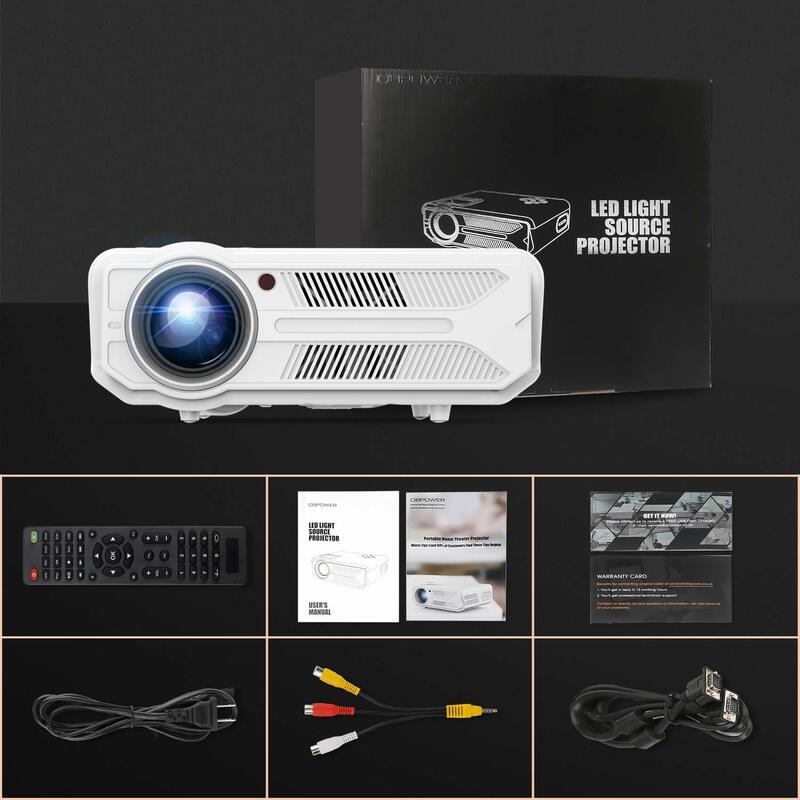 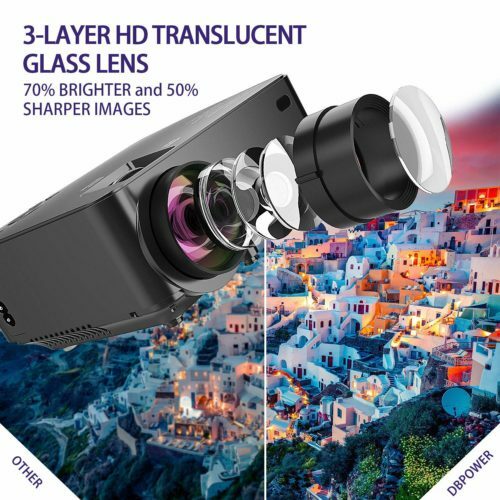 To meet our customers’ new need, DBPOWER video projector has upgraded the brightness of this projector with 33% more Lumens and now 3200 Lumens in total, designed as high transmittance glass lens for giving you ultra-clear images providing consumers a brighter and clearer video world offering our customers higher cost-effective product. 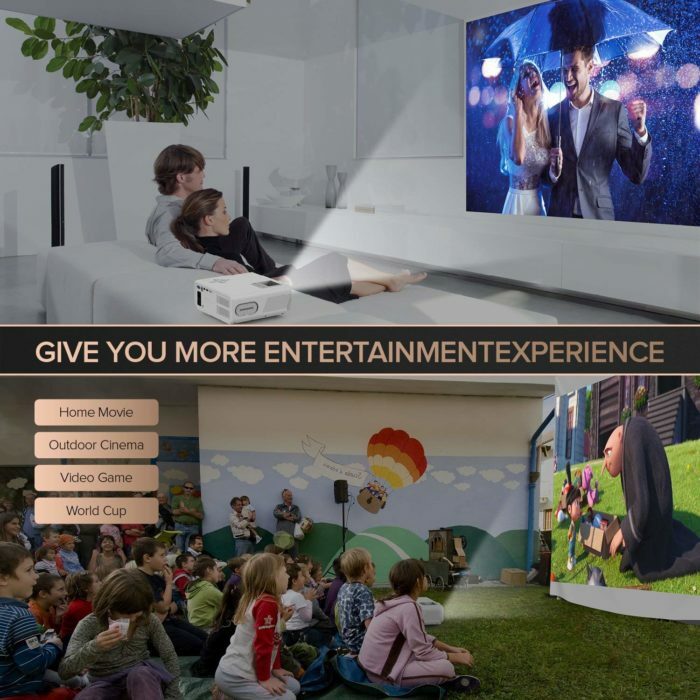 The double tube cooling technology provides excellent heat dispersion, and thanks to continued improvements in development, the powerful cooling fan has a much reduced noise, which translates into less distraction for you when viewing movies or playing games. 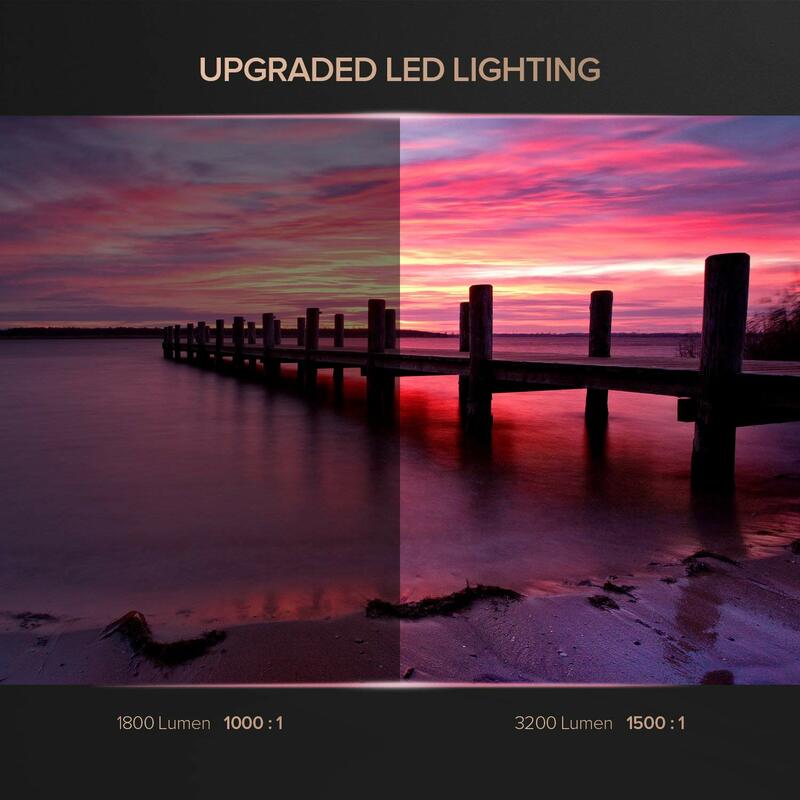 We have adopted the latest in smart LED technology. 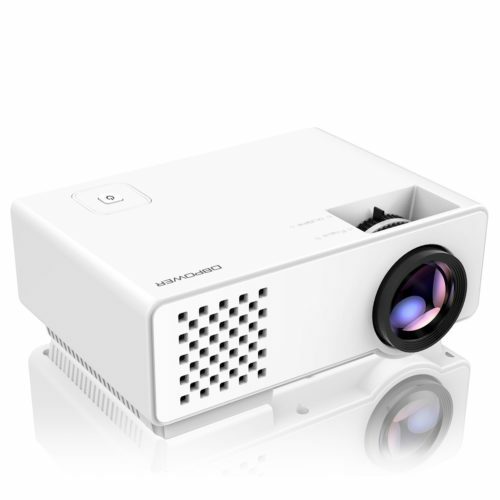 The 140W LED light source and built-in LED bulb can save up to 70% energy and the LED lifespan is more than 50,000 hours. 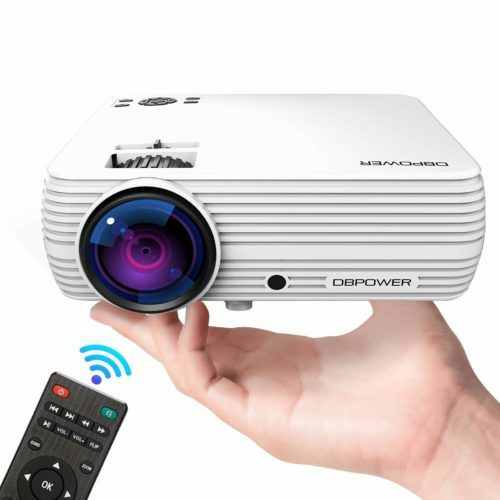 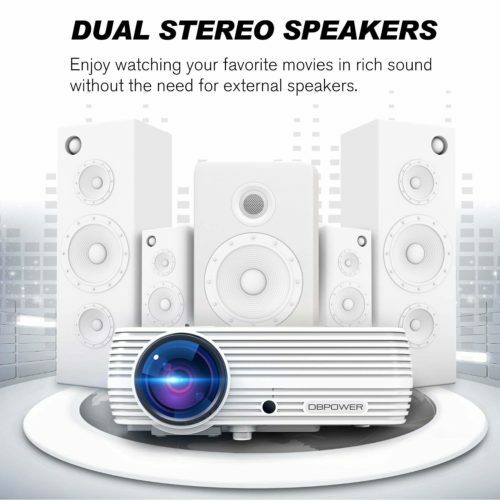 The DBPOWER 5.8”LCD projector provides a new & unprecedented experience for you in your home. Enjoy watching the newest movies and playing your favorite games on a 50 to 200-inch big screen. 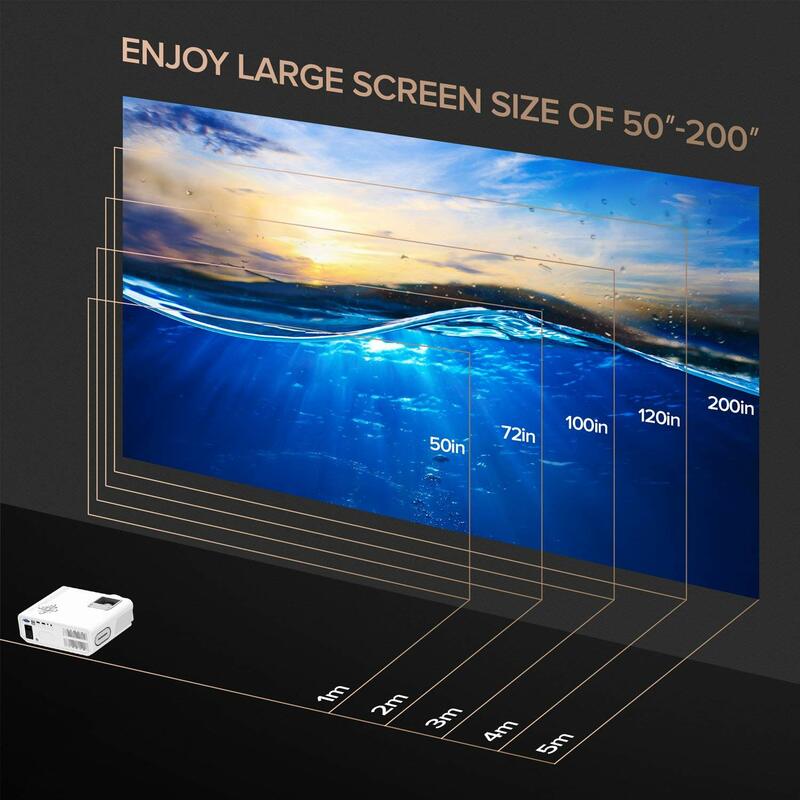 Stop watching movies on devices with small screens and enjoy the big-screen experience with your family and friends. 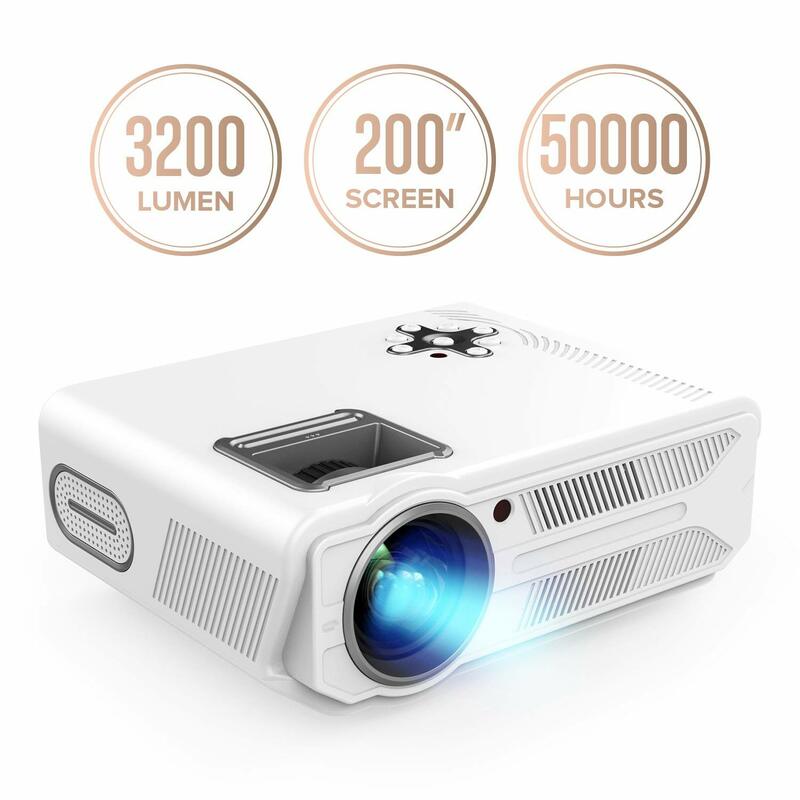 Features upgraded LED technology for superior viewing. 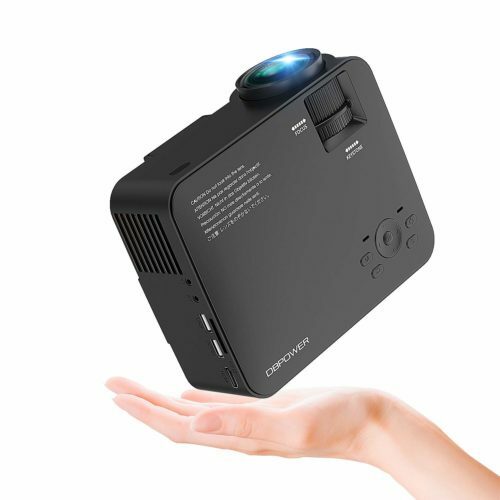 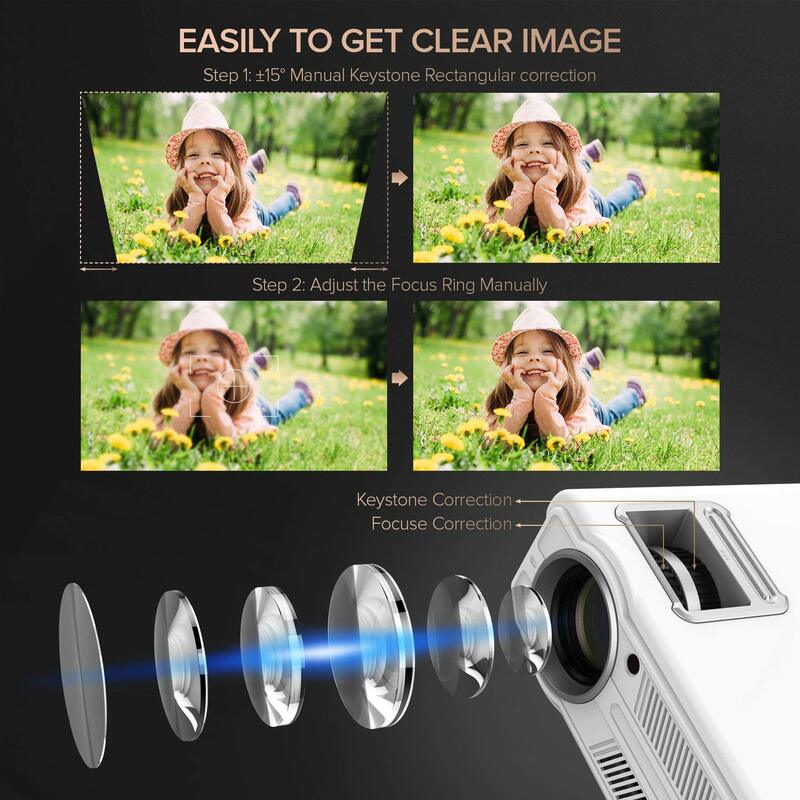 1080p HD resolution provides clear and sharp images, while a brightness of 1.2 times that of similar projectors gives you a better visual experience in a dark environment. 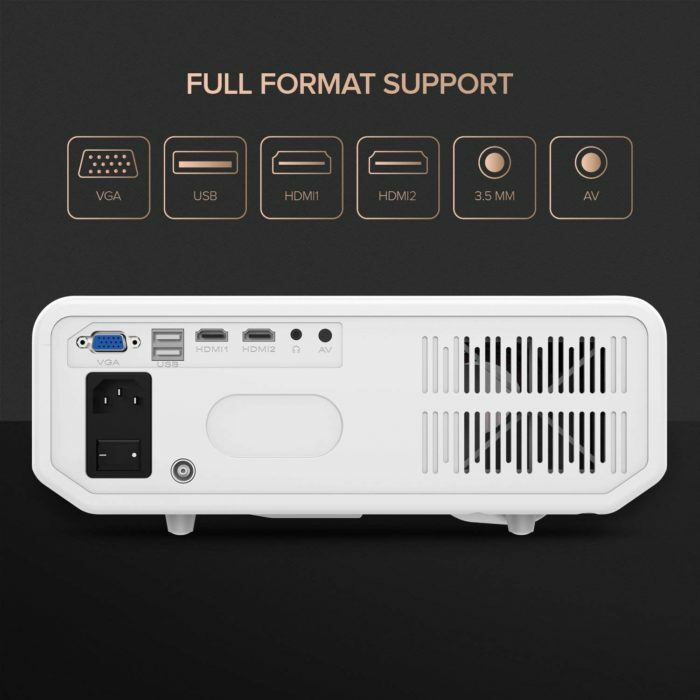 DBPOWER has founded the professional technical team to research and develop the most delightful products for our customers. 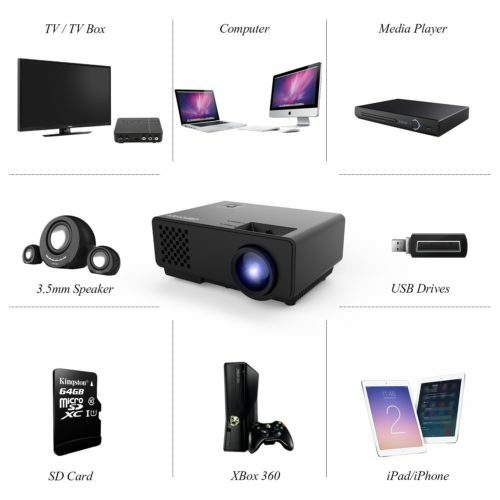 We will keep update our technology and products to offer you the latest technology products. If you encounter any problems or quality issues, our professional technical support team is standing by to help solve the problem anytime.